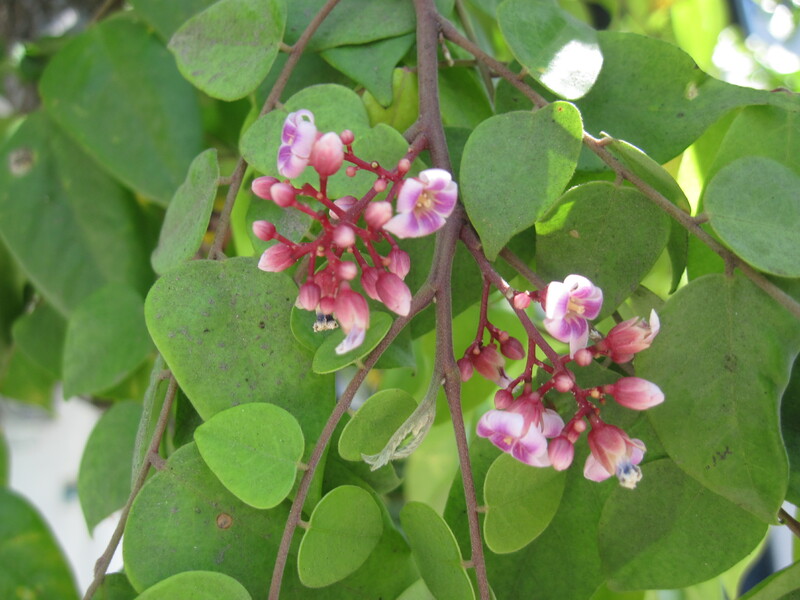 The carambola tree is slow-growing, short-trunked with a much-branched, bushy, broad, rounded crown and reaches 6-9 m in height. The leaflets are sensitive to light and more or less inclined to fold together at night or when the tree is shaken or abruptly shocked. Small clusters of red-stalked, lilac, purple-streaked, downy flowers, about 6 mm wide, are borne on the twigs in the axils of the leaves. 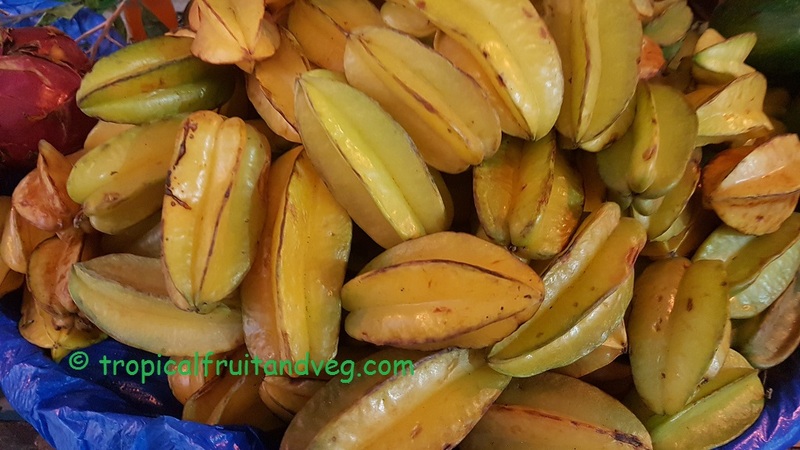 The showy, oblong, longitudinally 5- to 6-angled fruits 6 -15 cm long and up to 9 cm wide, have thin, waxy, orange-yellow skin and juicy, crisp, yellow flesh when fully ripe. Slices cut in cross-section have the form of a star. 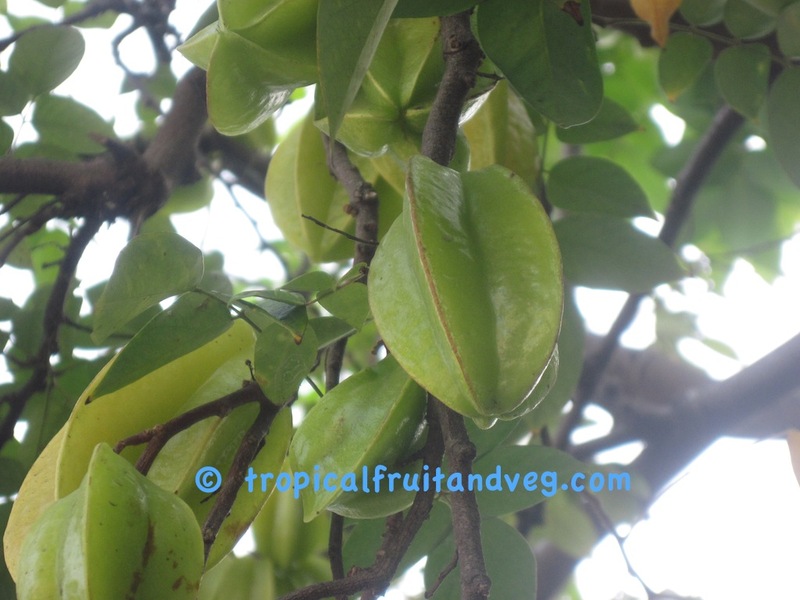 In India, the ripe fruit is administered to halt hemorrhages and to relieve bleeding hemorrhoids; and the dried fruit or the juice may be taken to counteract fevers. 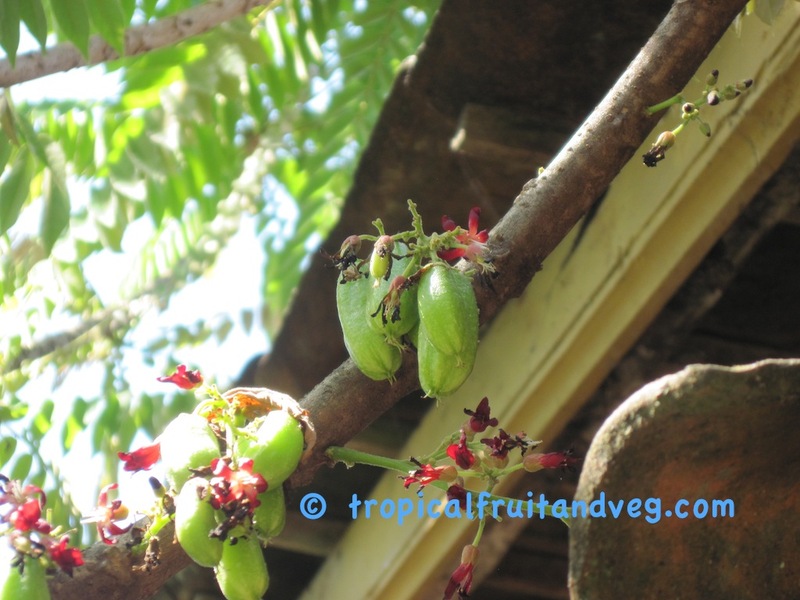 A conserve of the fruit is said to allay biliousness and diarrhea and to relieve a 'hangover' from excessive indulgence in alcohol. 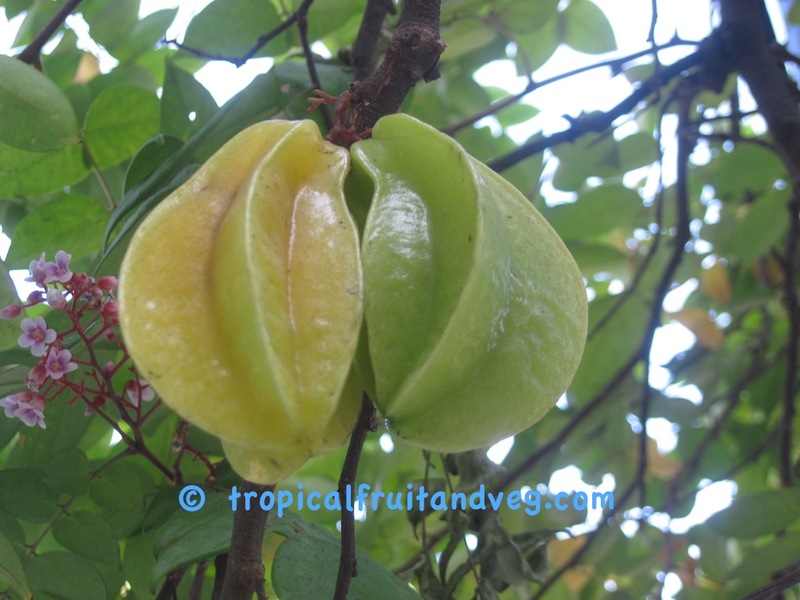 The carambola should be classed as tropical and sub-tropical because mature trees can tolerate freezing temperatures for short periods and sustain little damage at -3� C. It requires warmth and high annual rainfall. 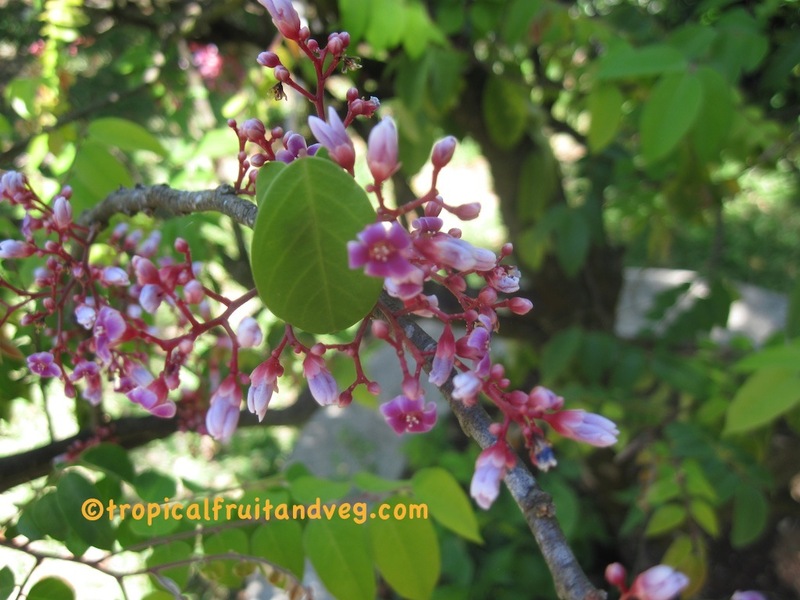 Not too particular as to soil, the carambola does well on sand, heavy clay or limestone, but will grow faster and bear more heavily in rich loam. It is often chlorotic on limestone. It needs good drainage; cannot stand flooding. 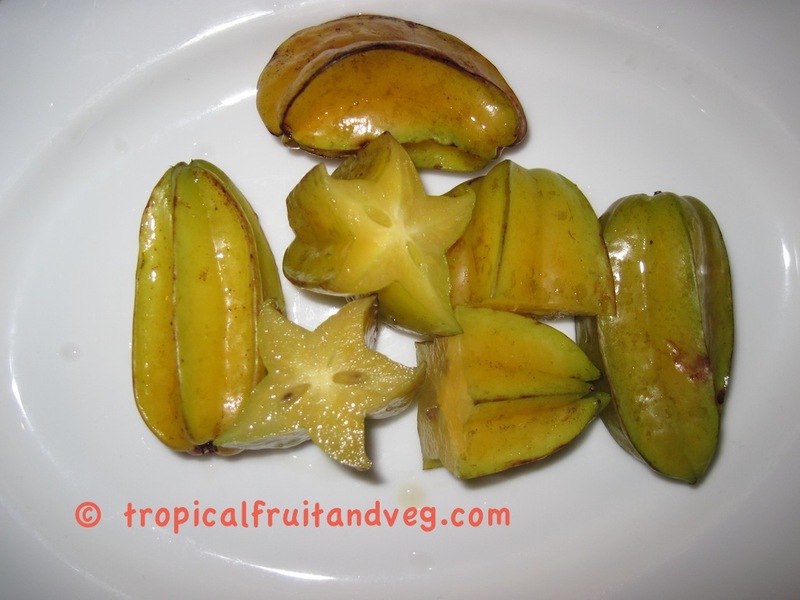 The carambola is widely grown from seed though viability lasts only a few days. 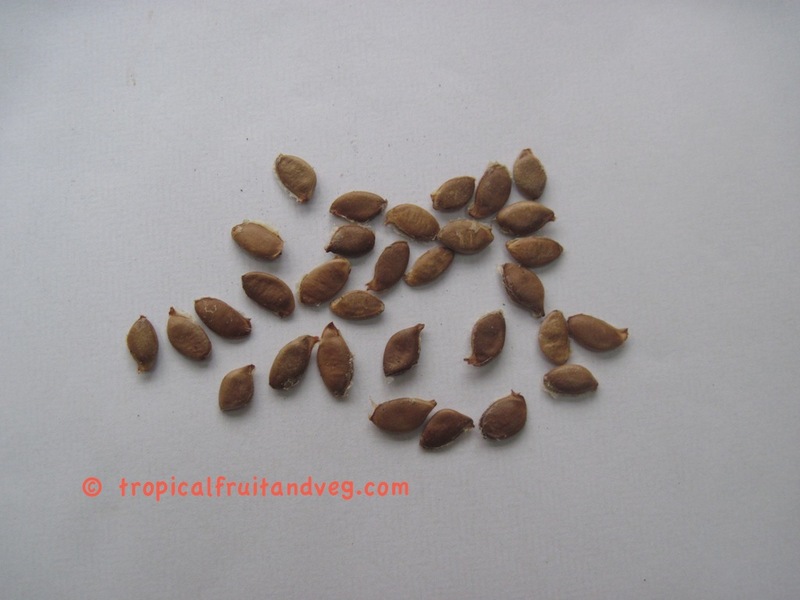 Only plump, fully developed seeds should be planted. In damp peat moss, they will germinate in one week in summer, require 14 to 18 days in winter. The seedlings are transplanted to containers of light sandy loam and held until time to set out. They are very tender and need good care. Seedlings are highly variable.